Pilates is a well-established method of exercise which is used by physiotherapists extensively for rehabilitation after injury, as well as injury prevention and general strength and wellness. 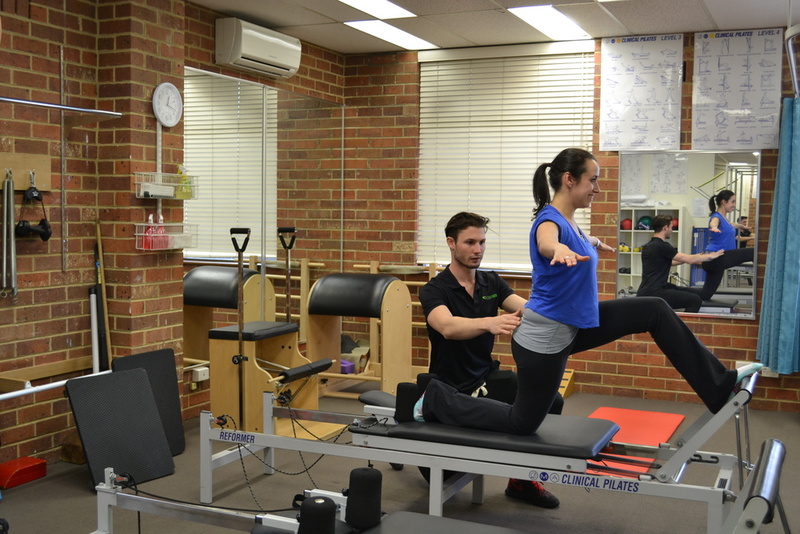 Our Pilates Sessions at LifeCare Prahran Market are run by experienced physiotherapists, using specialised equipment. This equipment assists in helping to activate your postural stabilising muscles ensuring a more specific and targeted work out. Our classes have small group sizes (maximum 4 clients) and run for 1 hour each. We also offer 1 on 1, or 2 on 1 classes. as well which run outside of the timetabled. Our state of the art studio features a large gym area, as well as all of the specially designed equipment such as Clinical Reformers, Trapeze Tables, Ladder Barrel, and Wunda Chair. The benefits of Pilates is that it is a programme designed for you and what your needs are. We do not run generalised "pilates" classes, rather specific individualised programmes to target your body and its particular weaknesses / dysfunctions. Prior to starting classes, we commence with a private 30 minute initial assessment. During this session we discuss your medical, exercise and injury history, as well as assess posture, flexibility and movement patterns. We also discuss the goals you would like to achieve and work with you to develop a suitable plan. .Following that session we do 2x 30 minute 1 on 1 sessions to take your through the programme and familiarise yourself with the equipment. At this point you are ready to join our small group classes or continue with private sessions. During your initial assessment we can use real-time ultrasound to view the activation and endurance of your deep abdominal and pelvic floor muscles. Just like a pregnancy ultrasound, we gently move an ultrasound head over your side and lower abdomen. This shows us the muscles as they’re working on the inside, from the outside. This enables you to learn how to engage the correct muscles with real-time visual feedback, so that you can associate the correct “feeling” with what you see on the screen. This is an important component of a Pilates assessment, as we want to make sure that you are targeting and correctly activating the particular muscle groups needed to reach your goals. Please drink two glasses of water prior to your assessment to enable us to view the pelvic floor muscles with greater accuracy. Pilates has been shown to help with pregnancy related pelvic, hip and back pain and is a fantastic option for exercise during and after pregnancy. There is a large focus on pelvic floor training and assisting with recovery of abdominal separation (DRAM). Our Women’s Health physiotherapist runs a class targeted at women who are pre and post natal. However, we welcome these women into all of our Pilates sessions and our physiotherapists are experienced in modifying the classes to keep you exercising safely at any stage.